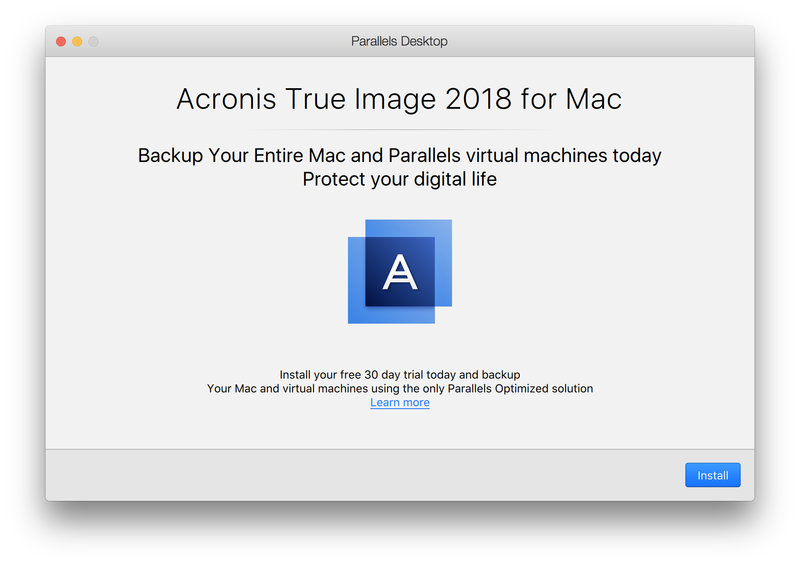 To install Acronis True Image, open Parallels Desktop, click on the Parallels Desktop menu and select Backup with Acronis True Image. 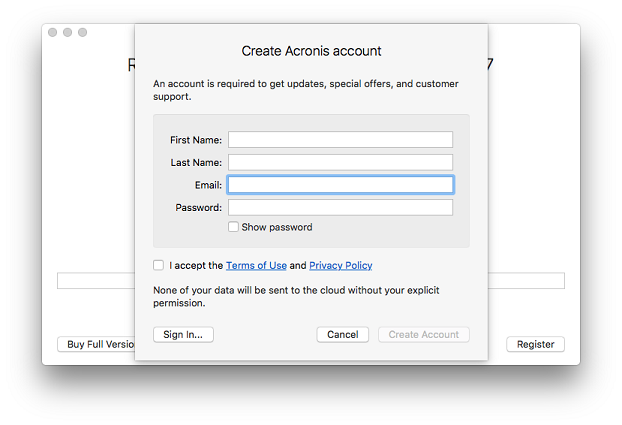 Note: You will be prompted to enter the Mac administrator password during the installation process. 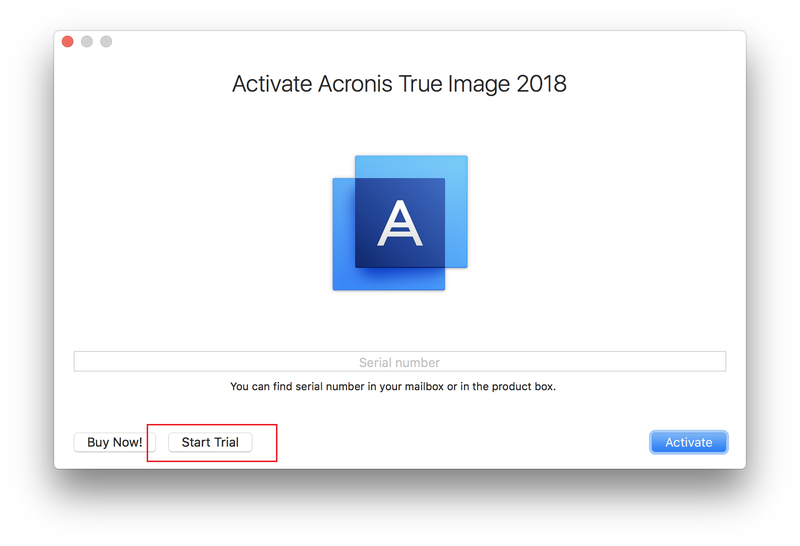 If you would like to use the 30-day trial included in Parallels Desktop for Mac, click on Start Trial. To learn more about Acronis True Image, refer to the Acronis True Image User Guide or visit the Documentation page.